Explanation: Why does this cloud look so strange? 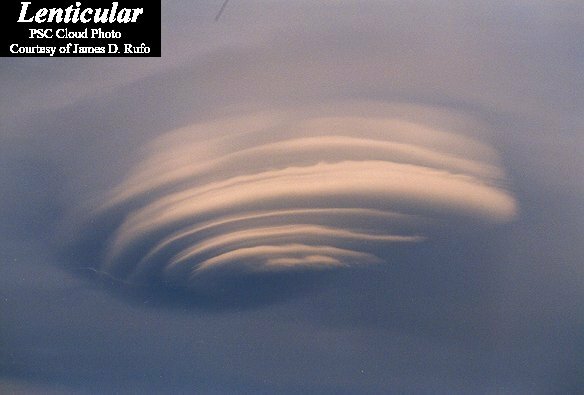 Actually, pictured above are several clouds all stacked up into one striking lenticular cloud. Normally, air moves much more horizontally than it does vertically. Sometimes, however, such as when wind comes off of a mountain or a hill, relatively strong vertical oscillations take place as the air stabilizes. The dry air at the top of an oscillation may be quite stratified in moisture content, and hence forms clouds at each layer where the air saturates with moisture. The result can be a lenticular cloud with a strongly layered appearance. The above picture was taken in 1999 over Plymouth, New Hampshire, USA. The same lenticular cloud also looks strange when photographed from 30 kilometers away.